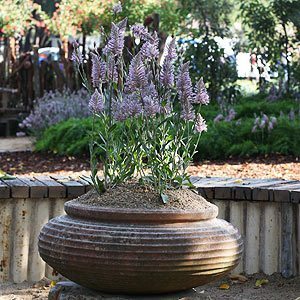 When looking for garden pots in Melbourne, it is important to establish the type best suited to the plant as well as the landscape. 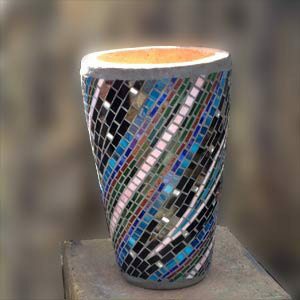 A decorative garden pot may look great in the garden centre or nursery, however the drainage and construction, size and material are all important considerations. Our listed suppliers for ‘Garden Pots Melbourne’ stock a huge range, from economical pots for the budget conscious to those looking to buy special one off pieces, for that extra style to the garden or balcony. With so many different materials being used look at the advantages of each and compare them to the needs and size of the plants to be used. Many plants do not like to be over potted so consider size. Plastic pots may be lightweight, however many cheaper types are not UV stable and allow the roots of plants to become overly hot due to the thin walls. With an increasing emphasis on apartment living, especially in Melbourne’s inner city, growing plants in pot has reached a level. Herbs, flowers and even small fruit trees are now being grown in suburbs that predominantly apartments. Mass produced imported garden pots are easily found in Melbourne with many designs available at discount prices. Lowest prices do not always fit in with quality and durability, so search for quality long lasting pots for best value. Individual and unique designs are a little more difficult to find and will be more expensive. With so many styles from contemporary to classic types available including specialist pots for orchids, bonsai and succulents take the opportunity to browse our Online suppliers to help find the right garden pots for your needs. With such a huge range of garden plant pots available it is sometimes difficult find the best and the most economical style for your needs. Our supplier range from Geelong in Melbourne’s west where Leaf and Stone are worth a visit. In the north, its hard to go past Ascot Vale Garden centre, and in Melbourne’s east we have Berwick Potteries conveniently situated on Princess Highway. And of course many listed online suppliers. Ceramic pots are the oldest style of pot to be manufactured in Melbourne, however today we have a wider range of materials including steel, PVC and Aluminium. So it might be pots that have a Mediterranean look, or perhaps French provincial, Asian inspired or a contemporary Australian look. If you are searching for Garden Pots Melbourne, we have it covered with a range of suppliers to meet your needs. Custom builder of fibreglass ponds and planter boxes, we also do onsite fibre glassing of existing or new ponds. We sell a wide range of pumps, lights and filters.